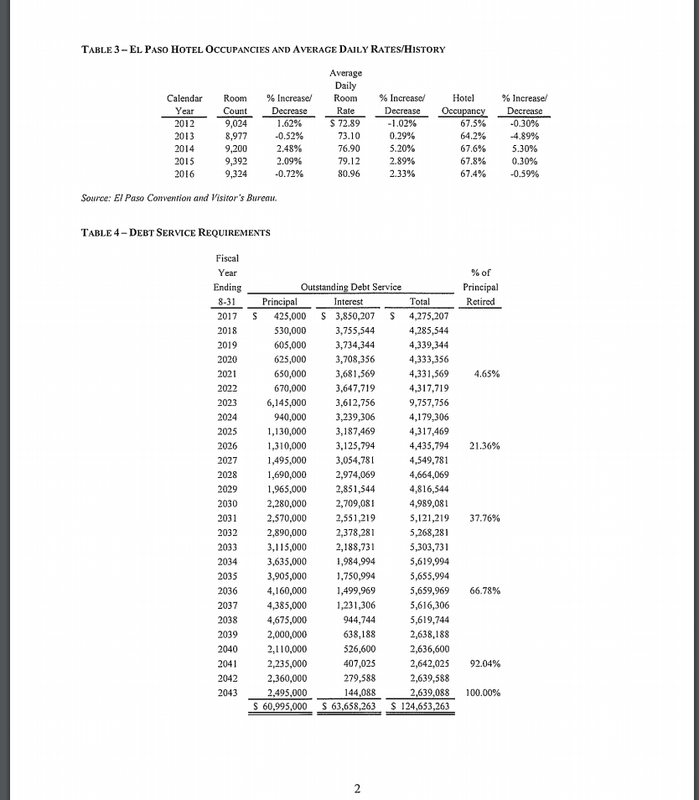 Remember how the increase in the hotel occupancy tax was supposed to pay for the ballpark? The city has been collecting about $2.9 million each year from the increase. The principal and interest due in 2017 will be $4.27 million. The shortfall will have to come out of your house occupancy tax. This entry was posted on Tuesday, September 26th, 2017 at 5:00 AM and is filed under Ball park, City government. You can follow any responses to this entry through the RSS 2.0 feed. You can leave a response, or trackback from your own site. in 20 years, it will bulldozed and build some other stupidity. Because it is “old” and the now well used excuse ” it cost more to fix it than build new”. This is the only city that has maintenance crews that don’t maintain anything. And that is how the Democrat, political Cartel works in El Taxo. Lie, deny, deceive, cover up, lie again. WE can’t trust THEM. Because that’s how it is here. US and THEM. As others have said when Queen Joyce was screwing this up, we are going to be in the hole at the end of the bond issue to the tune of 20 million extra dollars. Imagine the same thing happening with every city/private venture. The city WILLINGLY gi es away the lion’s share of any profit to the private side and burdens the taxpayer with more debt. Look up the deal on the ball park and compare it with any other ball park venture. We don’t even get a share of the concessions, which are the real money makers. Just like concessions help keep movie ticket prices “reasonable”. Even worse, the city also does’t get a penny of the millions of dollars paid for the ballpark naming rights yet the city continually promotes the fake university every time it mentions the stadium on the city website, buses, and other places. By doing so, the city is helping to promote yet another for-profit business that profits largely from government money and by encouraging kids to take on large amounts of personal debt. And now the Hunts want you to subsidize a new downtown office tower they want to build. They have been granted $15 million in tax subsidies and credits, say that is not enough. They are threatening not to build unless they get more. But they refuse to state publicly how much they have requested from the county. Mr. Hunt is the biggest welfare leech in town; corporate welfare. The problem is the CRIMINALS at City Hall, the Commissioners. They will give these rich carpet baggers whatever they want. “If we give you MILLIONS$$$ for this, MILLIONS$$$ for that, how much do WE get in our back pockets for compaign “DONATIONS””?? THEY don’t REPRESENT US, THEY represent only themselves and whatever THEY can get, TAKE from US. Just one big criminal empire. 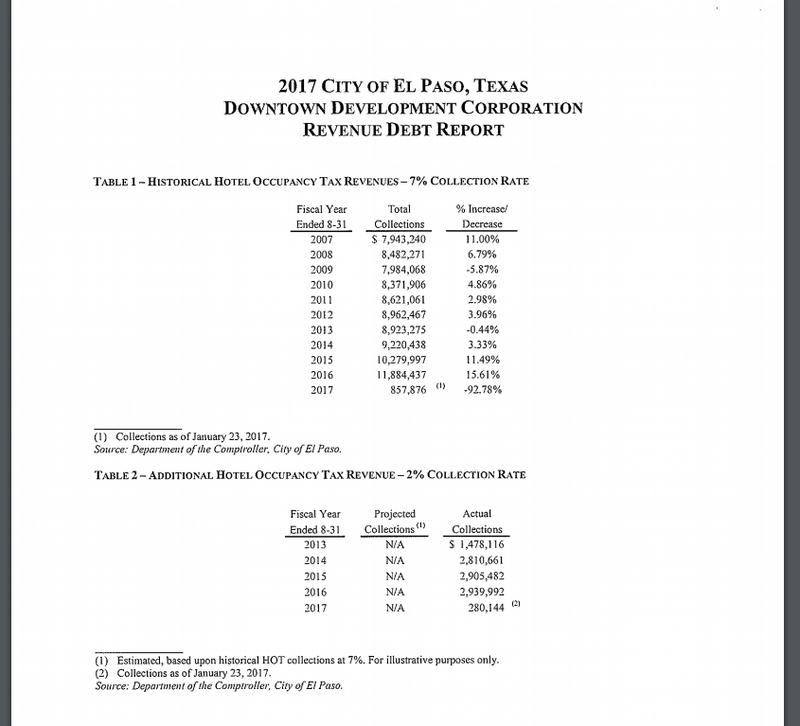 The “Vote to increase the hotel tax” was never anything but a scam, a con of the taxpayers by Mayor John Cook, City Manager Joyce Wilson, City Council: Byrd, Ortega, Noe, Niland and the others. “Okay we are going to have an election. You will vote yes, no to INCREASE the hotel room tax to pay for the city’s PART of the ball field”. “Oh no, stupid, ignorant peons, that wasn’t what WE meant. What YOU ACTUALLY voted for, was to BUILD and PAY for the ball field for Mountain Star Sports, the local BILLIONAIRES. Not OUR fault, YOU didn’t know what YOU voted on.” The SAME will be true of the Mountain Star Arena, the Mountain Star Soccer Field, the Mountain Star, whatever they and the POLITICIANS want to FORCE the TAXPAYERS to finance for THEM. What exactly have the TAXPAYERS gotten out of the “WE will get RICH” ball field??? WE were SCAMMED. #1. OK, told you so. Guess they’ll just have to set up a Toll Booth on each side of el paso and collect a Dollar from each car passing thru. Or. . . make Mexico pay for it ? I have the LARGE post cards they sent out telling us homeowners that we would not be charged ANYTHING extra. Can I sue ? I have this evidence in my Property Tax file. They SHOULD be sued for telling us one thing, then switching the debt to US. Bold face lies and deception when they did not DO THEIR duty and figure this out PROPERLY. They are dealing with OTHER people’s money. They cannot GIVE AWAY the City to developers ! MY parents (Thru higher property taxes) paid for High Rise City Hall downtown. They worked extra time to pay those higher taxes. The City GAVE AWAY assets of the City (US-Ours) to OTHER people. Past City Council board members should be liable, including Mayor Cook. And they are doing it again with $12MM in giveaways and abatements to Hunt for his DTEP office building. can you imagine what the $180,000,000+ arena will ultimately cost us if this lowly ballpark is already dipping into our pockets like this?! And, all I can say is that we crazies tried to warn you!